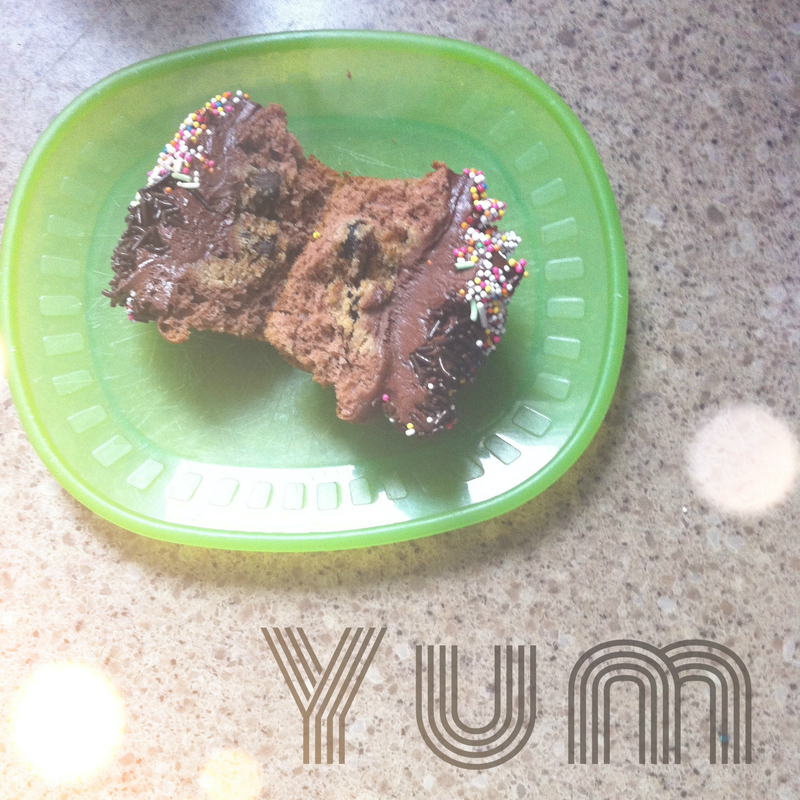 Cookies IN a Cupcake – say what!? i recently discovered this gem of a recipe while having my daily pinterest fix. have i disclosed my addiction yet? if not, “hi im jay and i am supremely addicted to Pinterest“. the recipe was posted by Picky Palette and is delcious (lots of creative and yummy recipes over there!) i’m into cupcakes lately – mostly because i have this new icing set that i like to play with ! because this recipe is so yummy, i have been asked to make these again, and again, and again. but i’m a busy momma and dont have time to whip up cupcakes and cookie batter and icing upon request! now, what drew me to this recipe in the first place is that the first recipe ingredient was a box of yellow cake mix – already making this a super easy recipe. but get this, i have adapted this recipe to make it even speedier.